The loss of adult teeth has many negative consequences, which include compromised oral esthetics, increased risk of oral health problems, and the potential loss of healthy jaw bone structure. 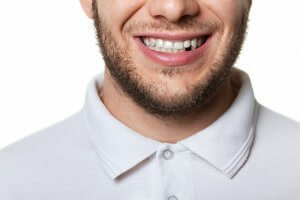 In order to address all of these concerns, it is important to replace teeth that have gone missing. In order to determine if a patient is an ideal candidate for teeth-in-a-day replacement, we will need to perform a complete oral exam, which includes evaluating the state of the teeth, gums, and jaw bone. In general, teeth in a day is a dental implant procedure that is ideal for current denture wearers or patients who need to replace either an entire arch of teeth or a complete set of teeth. While good jaw bone structure is important, this procedure is often a viable option even for patients who are poor candidates for traditional dental implant treatment due to a lack of healthy jaw bone tissue. Teeth-in-a-day replacement utilizes the placement of four to six dental implants that act as a support system for a full arch of artificial teeth. While traditional dental implant treatment often requires patients to undergo a bone graft procedure, this technique creates maximum contact between the implants and the jaw bone by placing the dental implants at an angle. Because of this, most patients do not require a bone graft and treatment can begin right away. The gums are opened and we place small titanium screws into the jaw bone. Once the implants have been surgically placed, a fixed dental restoration will be attached to the implants. This restoration, which will appear to be a complete, natural set of teeth, attaches to small metal abutments, which extend above the gum line. With the restoration in place, treatment is complete and patients leave our office with an attractive, fully functional set of teeth. If you have suffered from tooth loss, schedule an appointment to learn more about your tooth replacement options, including traditional dental implants and teeth-in-a-day replacement. Contact us today at 732-297-7000.